I was born on December 15th, 1958 in Maribor, Slovenia. I attended the primary school in Maribor, except for the year eight, which I finished in the American TARBELA Joint Venture International school-American section in West Pakistan. In 1974, I commenced my Vocational industrial metal workers Secondary Metallurgy and Mechanical Engineering School in Maribor, Slovenia, Europe and successfully graduated as an Industrial Mechanical Technician on September 24th, 1979.After serving military service I was employed in Metalna Co., Machine Builders, Steel Fabricators and Erectors in Maribor, Slovenia and worked in the Erection and Engineering department. In May 1987 I successfully passed the Professional Qualifying Examination for mechanical technicians, first cycle mechanical engineers and graduate mechanical engineers in the Mechanical field (Technology), and was duly registered on May 20th 1987 (Register No.77/87), with the Republic Committee of Industry (manufacturing) and Civil Construction in Ljubljana, capital of Slovenia, Europe. From 1995 to 1999 I worked in the United States of America for more than 17 months for Metalna Corporation Company. After completing my stint in the US, I returned to Maribor, Slovenia in the year 2000, where I was employed by MASCOM Co., where I was principally involved in project management works in the paper mill industry and in Hydro-power plants renovation works. On November 6th, 2000, I qualified and become a registered member of Slovenian Chamber of Eng., and I was registered in the special register of designers in charge (ID No. S-9151). In Jan. 2001 to Middle of Feb. 2002, I was working for STT/ KOCH Industrial Group (Malaysia) Sdn. Bhd. www.kochtrans.de , as a fabrication and erection superintendent of two units of Gantry Ship unloaders for the Lakir Bulk Terminal. Fabrication of steel structures was taking place in local - Malaysian companies in the surrounding areas of Kuala Lumpur (Shah Alam, Klang, Rawang,..) and Erection works were carried out at the Manjung Lakir Bulk Terminal Plant jetty near Lumut, Perak, Malaysia. After returning from Malaysia in 2002, I started working for IMPOL Inotechna, a design, manufacture and erection company, as their Erection and Project Manager, until mid July 2004. Whilst there, I was responsible for fabrication of parts and erection of three new aluminum mill lines for IMPOL Co., contracted by Achenbach Germany. Fabrication and erection works were performed by local Slovenian Companies. 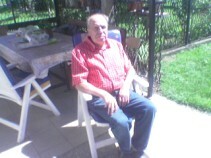 In July 2004 I was employed by Montavar MetalnaNova Co. www.montavar.si , working on different projects in Slovenia. In October 2005 I went to work to Greece, for ROKAS SA Co. www.rokasgroup.gr - Athens, Greece. I was the Consulting Engineer for the erection of three Ship to shore Container Cranes which were designed by KoneCrane - Finland www.konecranes.com and fabricated and erected at Port Astakos - Greece. After successful completion of the assembly of the Cranes and start up at the end of March 2006, I returned to Slovenia. 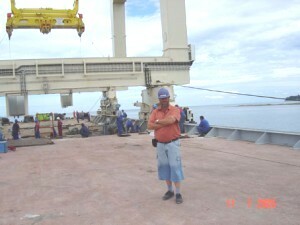 In April 2006 I started working for PT Leighton Contractors Indonesia www.leightonasia.com as Senior Inspector/Sub-contract supervisor for fabrication of Steel Structures and Equipment for Port Headland Marine Works project, Port Headland, Australia. Fabrication was performed by Bakrie Construction Co., in West Java, near the town of Serang in Indonesia. I become Chartered International Project Manager and Fellow of the American Academy of Project Management . In May 2007 I went to Doha, Qatar, to consult Sub-contructed steel structure fabrication works for Leighton Contracting (Qatar) W.L.L. Co., at Al Shaqab Equestrian Centre construction Site. In July 2007 I started working for SPX Cooling Technologies, Beijing, China www.spxcooling.com , as Site Manager in construction of natural draft cooling tower for Huaneng Tongchuan Power Plant, witch was completed and started operation in December 2007. In 2008 I was working for SPX Cooling Technologies Ratingen/Germany, I was involved with construction of LANGAGE Energy Center, 800 MW ACC Air-cooled Steam Condenser in United Kingdom and than with SPX & Linde Co., at Pearl GTL Project for 8 units of ACCs in Doha, Qatar as Erection Consulting Eng. In 2009, I was working for KONECRANES Heavy Lifting Corporation, Finland www.konecranes.com as Consulting Eng. in field of Erection, Sea-transportation and Start up of 32T Grab Ship Un loader for Port Koper, erection in Greece and start up in Slovenia. In	Year 2010 I was working for CXC Global Co. and SPX Cooling Tech., Beijing China - www.spxcooling.com as site manager & Consulting eng. at XinAn Power Plant in construction of two Units 2 x 330 MW Air Cooled Condensers in Henan Province, China and I send 1 and 1/2 years in Argentina-Patagonia..
Snce 2012 I am working for KONECRANES Heavy Lifting Corporation, Finland - www.konecranes.com as Site Manager in field of Erection, Sea-transportation and Start up of Cranes world-wide. Port Koper Container Crane, yaar 2005. 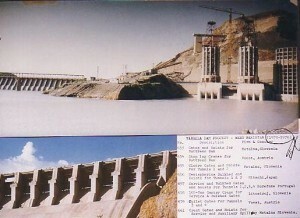 Photo of Tarbela Dam, my father was managing works for METALNA Co. in Pakistan. 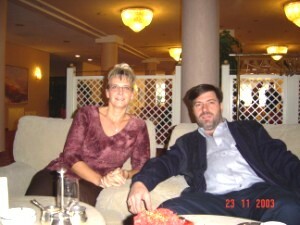 Me and my wife Majda November 2003.